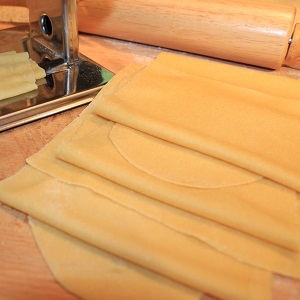 A simple recipe for fresh pasta using flour and semolina. You will find that the best pasta uses semolina to achieve the best consistency. Using a clean surface or wood board pour mixture on surface to create a mound.